The fun, fast way to get employed and stay employed, regardless of the job market. Since I’ve been putting on job fairs I spend a lot of time talking to recruiters and HR. As tough as the job market is out there I’m constantly shocked at the mistakes people make once they actually get in the door. The first one kind of surprises me and that’s the inappropriate dress. I’ve seen this at job fairs quite a lot. 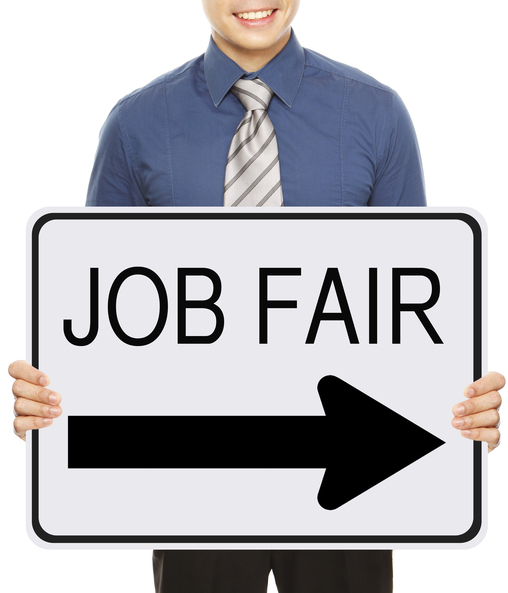 A job fair should be treated like an interview. You should dress appropriately for both of them. I have seen people waiting in line in flip flops, tons of gold chains around their neck, very low cut blouses, sweat pants, and mini skirts. I’m not making this stuff up! I’ve also heard the same thing from HR professionals when people come in for job interviews. It’s shocking. There’s simply no excuse for not dressing up for a job fair or a job interview. Maybe people mistake the atmosphere at a job fair as a place where they can just dress comfortably. Don’t be fooled into thinking you don’t have to dress to impress at a job fair. Another job fair and interview mistake would be texting and answering your cell phone in an interview. Turn it off or just leave it at home. You would think that would be common sense but it still happens all the time. That’s just a signal to the person hiring you that you don’t care about the job. No phone call is that important. It can wait. After working many job fairs, I am aware of other big job fair mistakes…missing an interview or showing up late. It’s hard enough to get that interview, especially these days. If you can’t make it or you are going to be late (and it had better be a really good reason), then at least call. It’s common courtesy. This goes for a job fair too. I can’t tell you how many people constantly showed up after the job fair was officially over and were upset that they couldn’t get in. If you really want to make the most of a job fair, be the first one in line. As the day goes on things get more and more backed up time-wise, and the likelihood that HR reps will be gone when you get there or they won’t have time to see you increases every hour.